In the recent 5 years, China has enjoyed a rapid growth in EdTech and online learning both in the private and public sectors. The driving forces include favorable government policies, abundant venture capital, active entrepreneurial activities, consumption upgrade, fast-growing mobile internet penetration and the fact that Chinese attach great importance in education. The goal of the government’s `13th Five Year Plan` (2016–2020) for education is to modernize education, to provide greater opportunities for lifelong learning for all citizens, to increase the education quality in all aspects, to improve the abilities on talent delivering and higher education innovation, and to have a more mature education system. One of the important goals is to achieve the digital transition in education and learning. 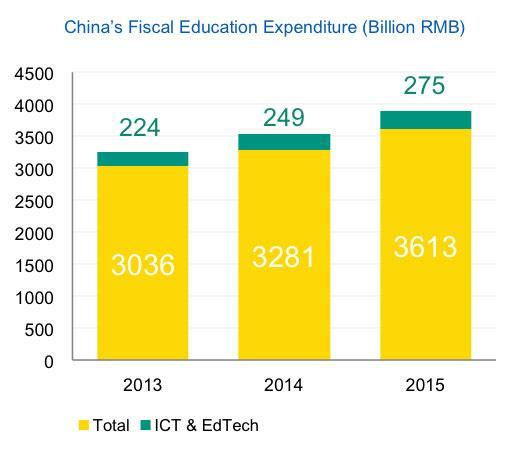 Budget in ICT and EdTech has been increasing, reaching 275 billion RMB in 2015 (~40 billion USD). Policies were announced to speed up the development of ICT infrastructure, broadband Internet connections, Cloud LMS, Ed-SaaS and EdTech products adopted in schools. By 2015, more than half of the schools in China have achieved broadband coverage, multimedia classrooms, and online learning space. The first-tier cities have achieved 99% coverage. By 2020, broadband coverage will reach almost all schools in China. 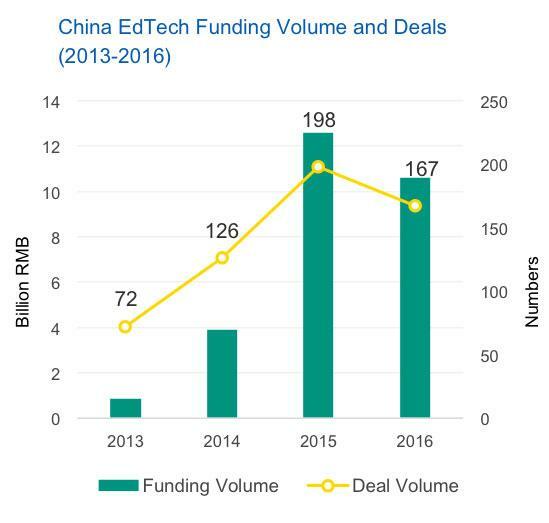 However, in 2016, the number of M&A cases in EdTech China has increased from 20 in 2015 to 65 in 2016, reaching 4.48 billion USD, presenting an 182% year-over-year increase indicating investor’s higher interests in M&A activities and premium valuation of education assets in China. In addition, online learning has become increasingly accepted by Chinese learners, reaching more than 100 million with an annual growth rate of 13%. 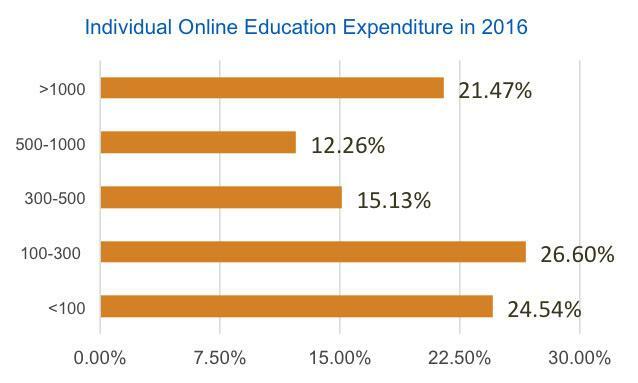 At the same time, Chinese learners are increasingly willing to pay for carefully curated and high-quality learning content and services online. 70% of the online learners surveyed have paid for obtaining knowledge in 2016 compared to only 26% in 2015. Half of the online paying learners have spent more than 300 RMB (~43.6 USD). Want to learn more about China EdTech Market? Feel free to download our 54-page industry report that gives you a valuable insight and in-depth analysis of the EdTech ecosystem in China for the past 3 years. 14 graphs and tables to deliver the 3 key drivers that fuel the rapid growth in China EdTech. A detailed description and strategy analysis of the 14 corporate giants that shape the EdTech transition.